Despite the delay to 2015, AMC has released a teaser trailer for the upcoming series “Better Call Saul.” The series, which has already been given a green light for two seasons, will premiere in February 2015 though we don’t have an exact date just yet. The show, which is a spinoff of the mega-popular “Breaking Bad,” had fans wondering whether or not Bryan Cranston would reprise his role as Walter White. However, Cranston recently revealed that he would not appear but would be directing an episode. 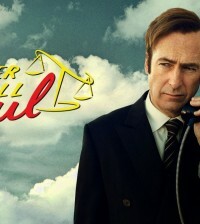 The episode format of “Better Call Saul” has been described as taking place both in the past and future for titular character, Saul Goodman. The nonlinear storytelling will take viewers before, after, and during “Breaking Bad” but whether we see certain characters other than White is still unknown. “I don’t think we’re giving anything away to say we’re still figuring this out — including if and when we’ll see some of these characters,” Gilligan recently said.